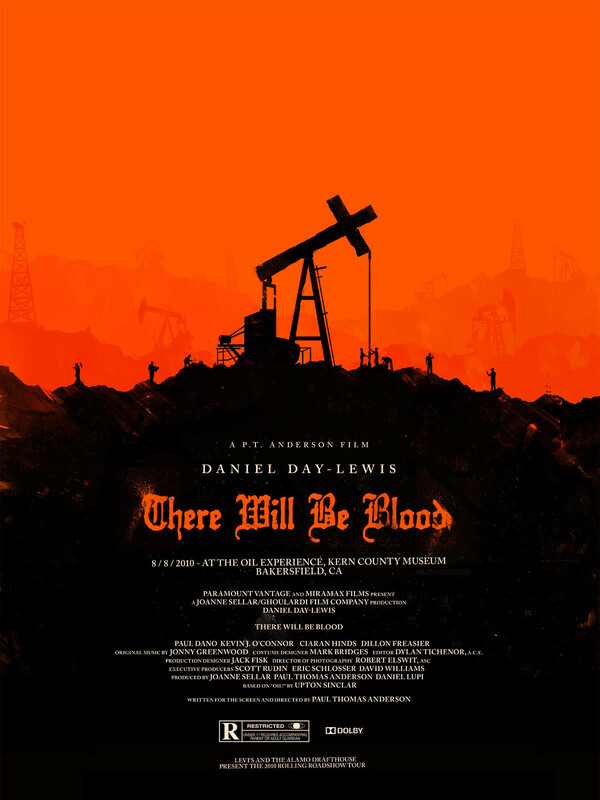 I recently went back and watched Paul Thomas Anderson’s 2007 insta-classic There Will Be Blood. It was my third or fourth time seeing it and, as with most truly great films, my appreciation grows every time. What makes it so compelling isn’t just PTA’s direction or script, or even Daniel Day-Lewis’s lived-in, masterful performance. It’s the beautifully fleshed-out early 20th century American themes of capitalism, religion, greed, among others that run though it. American cinema – hell, all of cinema – can’t quite replicate the unique, powerful vision on screen. And yet, the first time I saw it, I hated it. In fact, I didn’t even finish it. You have to understand, this doesn’t happen to me – ever. I will sit through just about anything. That includes D.W. Griffith’s 3-hour, silent Civil War drama The Birth of a Nation from 1915 (Spoiler Alert: It’s really racist). I take pride in not quitting on movies – no matter how bad. I sat through 2006’s The Wicker Man with Nic Cage. In theaters. Now that I’ve proved my credentials for enduring horribly unbearable movies, I can get back to how big of a deal it was that I didn’t have time for PTA’s California oil epic. I remember taking in the first hour – as we are introduced to Day-Lewis’ character, Daniel Planview, whose ambition and greed and selfishness clash with Eli Sunday (Paul Dano), the local preacher – and being hopelessly bored, totally unconvinced it would lead anywhere interesting. This was just a year or so after it had come out. About a year later, I gave it another try and realized I had dismissed what was clearly top-notch filmmaking. So, the question begs: What changed, exactly? How could the same piece of art or entertainment inspire apathy one moment and awe the next, when all that was different was an extra viewing? Well, the short answer is that obviously that isn’t the only thing that was different. Between viewings (roughly a year), I hadn’t stayed the exact same person. For one, I had taken a Film as Literature class junior year of high school, which had ignited a flame of interest in movies as an art form. We watched the classics of course – Citizen Kane, The Maltese Falcon, Psycho, etc. – but we also took in a few unusual, yet compelling choices, like quality Harrison Ford-vehicle The Fugitive and Kenneth Branagh’s little-seen 1991 mystery Dead Again. It was an excellent way to get introduced to watching movies more seriously, with a critical eye. Since we were viewing 1940s classics in the same class as “mediocre” 90s action flicks, we weren’t allowed to conflate only Citizen Kane-esque pictures as Serious Film, and everything else as mindless entertainment. We were taught to pull something out of everything we watched. Back to There Will Be Blood. Throughout the year between viewings, I had cultivated a deeper appreciation for difficult, challenging films. This newfound respect made the second time I saw it totally different. So, my film tastes had refined, but I also had grown on a personal level in a year’s time, as we all do. I experienced more (and a greater variety) of life, and I came back to a movie I had already seen. This is the crux of why it’s so important to re-watch what we have already seen. It’s not just about “getting” the jokes in a comedy or suddenly understanding the themes in a drama (which is a simplistic way of putting it, really, since we all know comedies have themes and dramas can have jokes). It’s about learning about ourselves by remembering where we were personally the last time we saw it. I’ve probably seen The Shawshank Redemption ten times. Every time I see it again, I’m not just reminded of its uplifting themes of hope and freedom, but where I’ve been in the past. Doing this with a particular director helps draw out this point. My favorite thing to do when the latest Christopher Nolan or David Fincher or Wes Anderson or Darren Aronofsky or the Coen brothers (among others) movie comes out is to re-watch a chunk of their filmography. This allows me to grow with filmmakers I love. As they explore various styles, methods, and messages, I can observe this and potentially see their films differently as I grow right along with them. It’s as close to dialogue with these geniuses as we can get. As we learn about their art, we’re growing into ourselves. Not necessarily in an “I’m a man (or woman) now” child-to-adult sense, but in a way where we are learning to live as our own critical-thinking self. When we re-watch, we begin to recognize what has changed in us. This is part of what makes film so special. It’s almost like a two-hour window into one of our past selves. In a way, when we re-watch, we’re also watching how we have grown.